Scotch, orange, and sweet vermouth: An unlikely-sounding trio that come together flawlessly. Unlike the unwritten rule about wearing white, there's no stipulation that you must pack away your white liquor after Labor Day. But after the unofficial end of summer, it's entirely appropriate to start breaking out the brown spirits of fall and winter. Scotch whiskey is a notoriously difficult ingredient to mix in a cocktail. Here's a drink that uses it to great effect: the Blood and Sand. The earliest printed recipe I've found for this drink was in the Savoy Cocktail Book, from 1930, and it likely takes its name from the popular 1922 silent film starring Rudolph Valentino as an ill-fated matador. With an unlikely cast of ingredients, the Blood and Sand rises above the chaos and helps set the stage for the approach of more robust-flavored drinks for the cooler months. Adapted from Vintage Spirits & Forgotten Cocktails by Ted Haigh. Pour all of ingredients in a cocktail shaker. 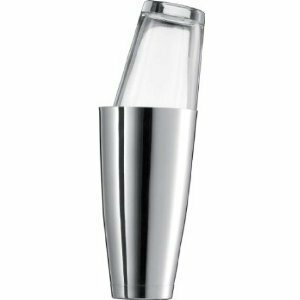 Fill shaker with ice, and shake well for 10 seconds; strain into a chilled cocktail glass, and garnish with a cherry.